Something for everyone on an idyllic Spanish island. 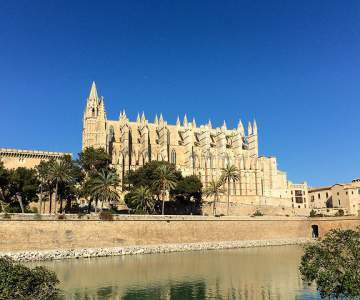 Look here for when a flight to Palma de Mallorca is the cheapest and book your chance! Hover with your mouse over the graph to look at the exact price for each day. 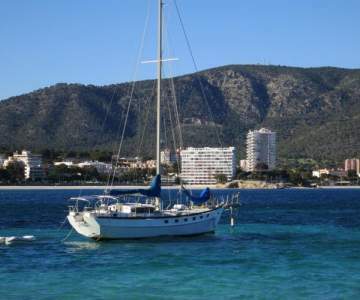 Look here for when a flight to Palma de Mallorca is the cheapest and book your chance! You want an enriching, cultural adventure. He/she just wants to kick back on the beach? 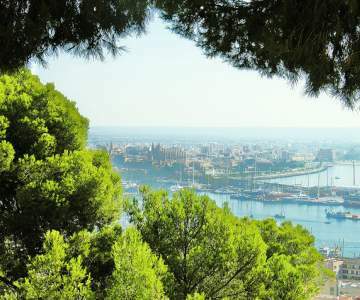 You’ll both find what you’re looking for in Palma de Mallorca. 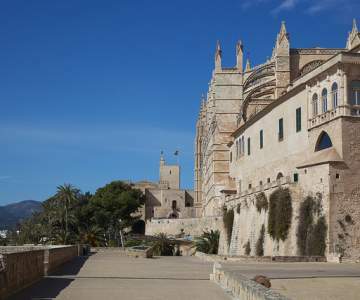 The island is brimming with historical sights ranging from Gothic cathedrals to Moorish palacios. (Tip: make your friends jealous and send your photos as real postcards.) The winter-hardy couch potato, on the other hand, will be spoiled for choice between cosy terrace bars and the gorgeous beaches at Can Pere Antoni. So no need to argue, just book your tickets for Palma! 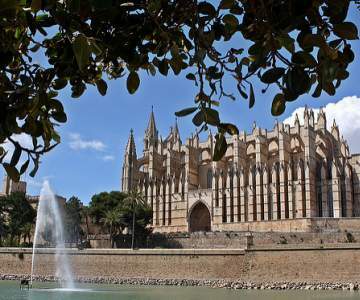 Palma de Mallorca is only available in the summer season, between may and november.